Forbes has ranked Atlanta s the Most Miserable Sports City, again. This bothers me for all the reasons: because I agree with them, because I want to be angry + defend my teams until I remember crying after the Dodgers knocked us out of the playoffs last year, because even I say "oh just give them some time to be an Atlanta team.." but most of all because I don't think it's true. Check that circular logic. If we're the most miserable sports city, why are we always so hopeful at the beginning of every year? Every season you can feel it -- this could be our year. We're a city of eternally optimistic fans despite the constant let down. Despite the years I've lost off of my life in the bottom of the ninth inning, every time Matt Ryan [or whatever UGA QB] hangs a hail-Mary pass down the sideline, despite the infield fly in the outfield [no, we're not getting over that one any time soon]. I refuse to accept that we're the most miserable sports city. When I was a kid, I thought the Braves automatically went to the post season. Every year for most of my life we were in the playoffs. Coincidentally, I also thought the National Anthem ended with "and the home of the Braves." I know, I'm so cute. We are not miserable. We're hopeful, nostalgic, maybe a little out of touch with reality, dreamers who refuse to give up on the teams we love. The Braves just lost their first road series of more than 8 games since 1949. NINETEEN FORTY NINE. [source? the ScoreCenter update I got last night before going to sleep] but we're still looking towards October. We're not calling ourselves "Loveable Losers" speaking of the Cubs why isn't Chicago in the top 10? Looks like the Blackhawks are carrying the city out of this "miserable" category. I'm going to say something very biased based on my 25 years of being an Atlanta sports fan -- the media is not our biggest fan. I remember my freshman year in college, UGA beat Florida for the first time in forever and all of the highlights on SportsCenter from that game were of Florida. 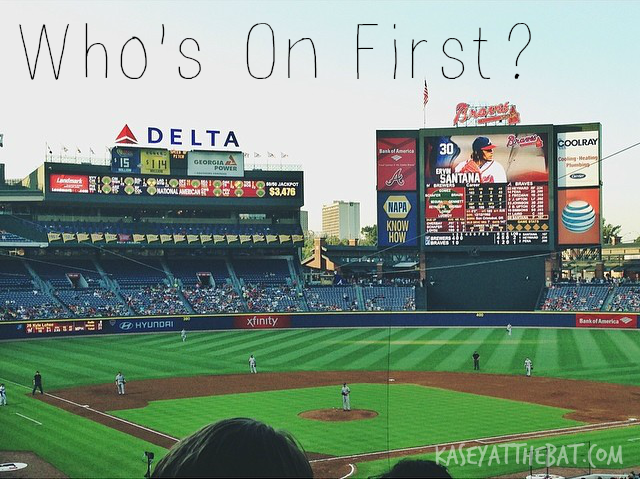 Last year when the Atlanta Braves went on the Waffle House Winning Streak and took a huge lead all they could talk about was how if we hadn't gone on that winning streak, we'd only be like four games up [what?]. No one ever gives Atlanta teams a chance but the fans here. I've always said that we could win the Super Bowl, NBA Championship, World Series, + UGA could take the National Title and people would still hate on Atlanta sports. Remember that time the whole team celebrated on the field + Tim Tebow made this face? So let Forbes decide we're the "most miserable sports city" because we always have hope, let everyone talk about our close calls and near-misses. One day, we'll win it all and no one in Atlanta will be surprised. Do you think we're the "most miserable sports city" in the country? Don't forget to check out everyone linking up with Sarah for Fan Friday!! It's very true that the media hates on Atlanta's teams. I have no idea why. Has anyone been to Cleveland?